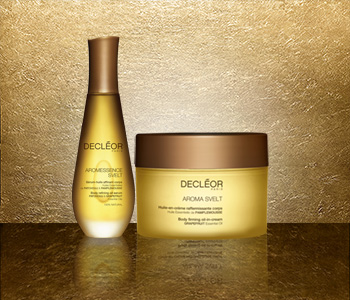 Reshape the contours of the body with the firming benefits of the Decléor Aroma Svelt range. Decléor’s Aroma Svelt skincare collection improves skin tone and elasticity thanks to a unique cocktail of beautifying essential oils, which help to restore skin softness and reduce an orange-peel appearance. With formulas designed to melt on the skin, the luxurious Aroma Svelt products are a pure pleasure to use and will cocoon skin in lavish aromas and indulgent textures.